Here's some good news for all of us. It turns out you can whip together a fairly convincing Batman costume using just stuff that you find laying around the house. 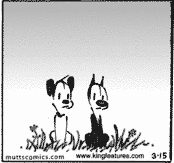 Thanks to @DrScienceCat for this valuable revelation. Effigy from Vertigo is an interesting specimen that includes a byline that I can't say I've ever seen in any other comic. 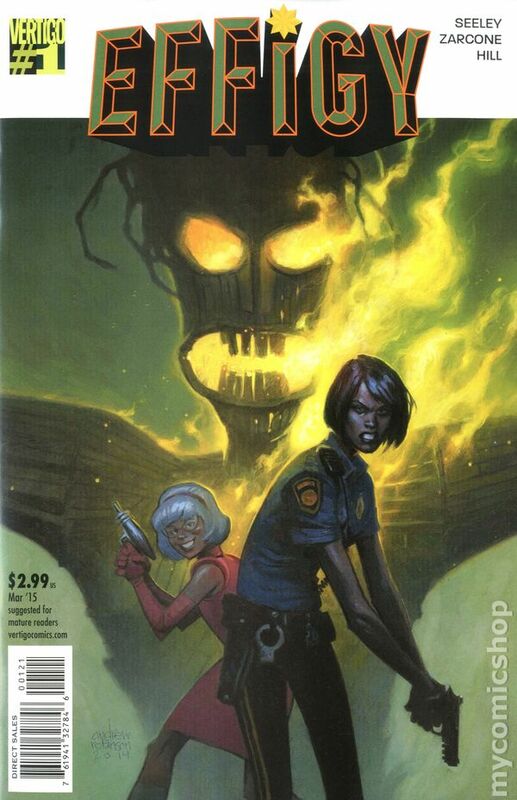 In addition to naming the writer, artist, letterer, colorist, and editor, the credits box goes on to specify that the cover logo is by Steve Cook. How about that! While I'm on the subject of logos I don't mind telling you that one of my favorite logo designs in comics history is Time Warp. Hats off to Todd Klein for that masterwork. And maybe you'll even indulge me as I exhibit a logo that I designed in the 1970s for the entertainment pull-out section of The Daily Illini (the newspaper where Roger Ebert in the 1960s began his life in journalism). Rick Tuma has been on staff drawing for The Chicago Tribune for over thirty years. Most of his work consists of spot illustrations portraying anything from soup to nuts, whatever an editor needs to accompany a story. But he started out in 1983 drawing the Doonesbury-like daily three-panel strip about Chicago politics entitled Clout Street and now the gentleman has turned in a stunning retelling in comics form of an historical disaster. One hundred years ago this month, a maritime tragedy occurred within the city limits of Chicago. A huge steamship named The Eastland overturned in the Chicago River just steps away from the streets of downtown. 844 people drowned. Mr. Tuma has done an excellent job of presenting this sad story to a new generation and you can view the gentleman's efforts for yourself right over here (you may be asked to register to gain access but it's legit and worth the minute of typing). 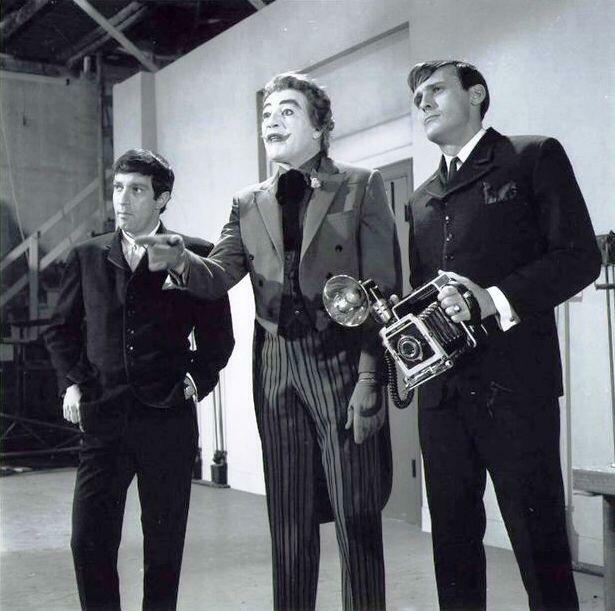 One of The Joker's henchmen in the above photo from the 1960s is played by actor Kip King, the late father of Saturday Night Live alumnus Chris Kattan. I found that a little bit interesting and thought I would share it. P.S. I am unsure which of the two henchmen is Kip King because Chris Kattan left it unrevealed in his tweet, but my guess is that it's the thug we see on the left (or "Henchman #1," as I have dubbed him). P.P.S. Mr. King also voiced one of the Smurfs in the 1980s cartoon series. The Bug is a Serpent? Today in traffic I saw a Volkswagen truck like the one above. That vehicle must date back to the 1960s or 1970s and I'm surprised I don't recall ever having seen one before. Whenever I see something for the first time my mind tries to liken the sight to something more familiar to me. 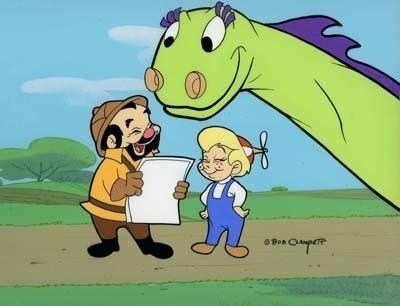 For some reason, what I thought of immediately when I saw that truck was Bob Clampett's Cecil the Seasick Sea Serpent. Please do not ask me why because I don't have an answer. P.S. It was my pleasure back in the 1970s to attend a lecture given by Mr. Clampett and I still recall what a very nice man he was. 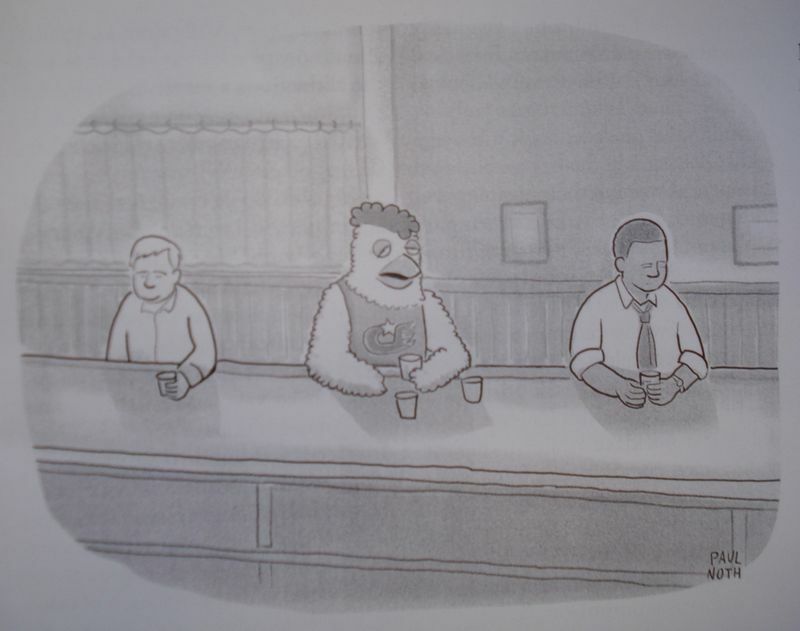 In case you missed it, the above cartoon by Paul Noth appeared in a recent issue of The New Yorker. 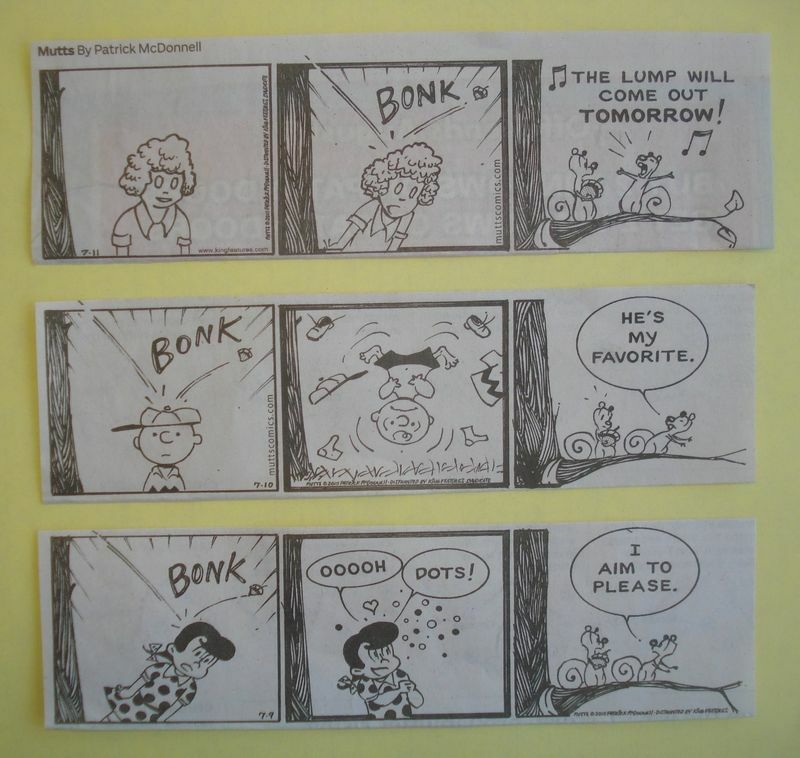 I subscribe to that magazine mainly because of the excellent cartoons and covers. 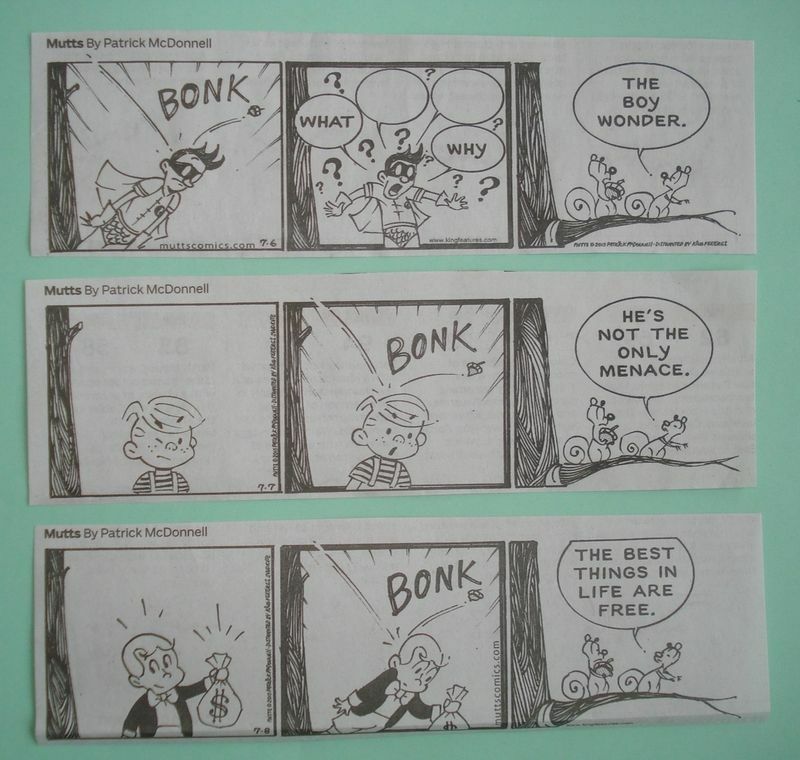 The San Diego Comicon is convening right now and again Patrick McDonnell is devoting the week of his Mutts strip to having his creations interact with characters from the world of comics. Mr. McDonnell widens his scope beyond costumed superheroes this year as you can tell from the appearance below of Dennis the Menace and Richie Rich. Mort Weisinger is beloved in the world of comics for having been the editor of the Superman family of titles through the 1950s and 1960s. 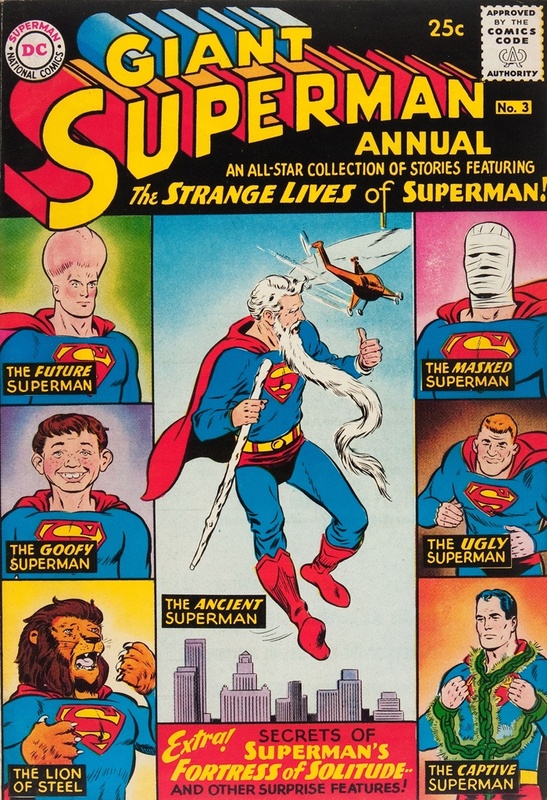 He was responsible for many silly and fun stories as the 1961 Curt Swan cover above makes clear. Mr. Weisinger retired from comics in 1970 at age 55, thereafter writing for Parade Magazine and other outlets. He also wrote a novel. It was entitled "The Contest" and I first told you back here that I had ordered a copy of that 1970 book and that I would get back to you about it. Well, I've read it. No, actually I didn't read it. I tried. I started reading it. I read the first twenty pages and then spot-read after that. That was enough, and I'll tell you why. The book is horrible, just horrible. 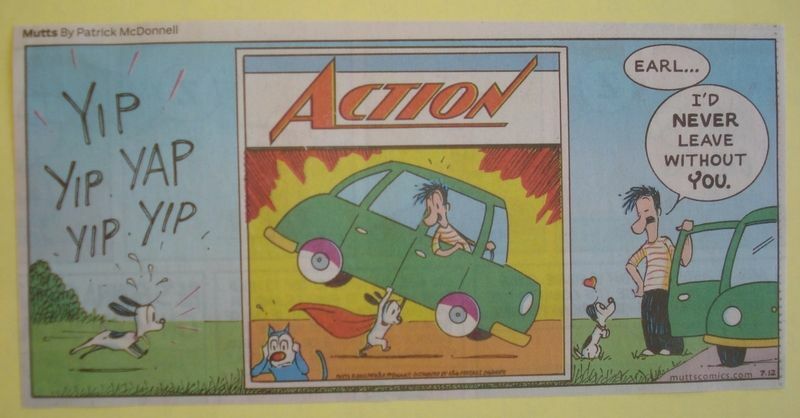 After having shepherded the wholesome intellectual property of Superman for decades, the gentleman apparently had quite a bit of unwholesomeness pent up and needed an outlet for it. I wonder what Mrs. Weisinger thought of this horrid, horrid book. 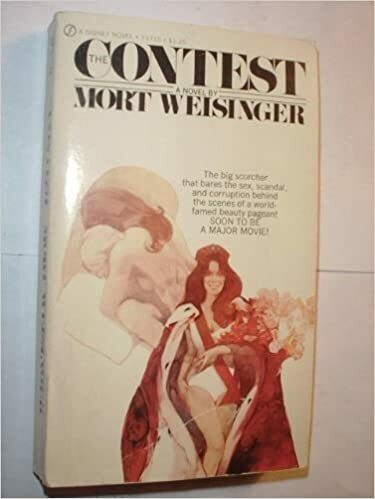 I may have the time-frame slightly off-kilter in that "The Contest" may have been published while Mr. W was still in the employ of DC Comics because it has been suggested elsewhere that the book's publication led to DC asking Weisinger to leave the company. There's a comparison I can't help making. In the early 1970s Mr. Jack Kirby was in his early 50s and was weaving his wonderful Fourth World tapestry, creating some of the best comic books I have read in my entire life. In those same early 1970s Mr. Mort Weisinger was in his 50s and capped off a wonderful career in comic books by trawling the sewer with his authoring of "The Contest." 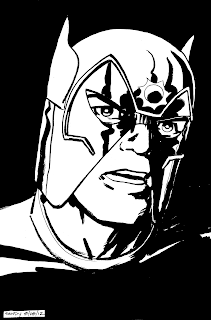 A handful of years back, Sandy Jarrell did a really nice job drawing Jack Kirby's Orion and I thought you might enjoy seeing the artwork as much as I did. Hooray for Jack Kirby! 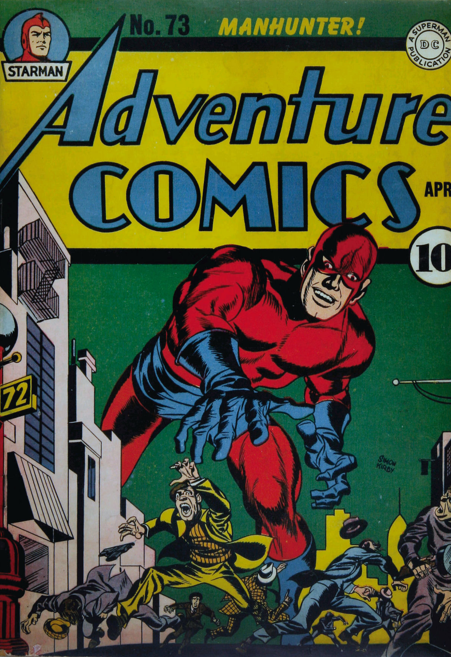 I just happened to be looking up 1942's Adventure Comics #78 on The Grand Comics Database. That issue featured not just one but TWO stories by Joe Simon and Jack Kirby! The GCD entry indicates that the Sandman story entitled "The Miracle Maker" was reprinted in 2009's Sandman hardcover edition, and that the Manhunter story entitled "The Lady and the Tiger" was reprinted in 1972's The New Gods #9 (and I remember what a wonderful experience it was reading so many S & K stories for the first time as back-ups in the 52-page Fourth World comics!). But wait just one pretty little minute. The above-mentioned Manhunter story hasn't been reprinted since 1972? (Now picture me slapping my forehead like the guy in the "I could've had a V-8" television commercials.) I proudly own all the Kirby reprint hardcovers and it never occurred to me before that there has not been a Manhunter volume! Why hasn't there been one? Well, maybe it's because there were only eight of those S & K Manhunter stories, and that would make for a fairly thin book. (I know I would definitely purchase it, though.) DC reprinted seven of those eight stories in the 1970s and you can read the one that got away, the eighth and last in the series, right over here. 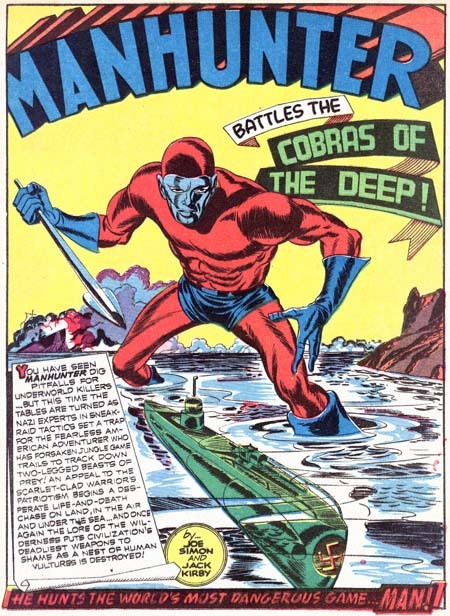 Maybe DC is planning to reprint the Manhunter stories in an as-yet-unnanounced Jack Kirby Omnibus Volume 3? Or (gulp) maybe DC has forgotten about these beautiful stories? 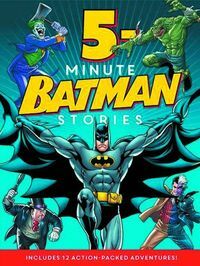 5-Minute Batman Stories and 5-Minute Marvel Stories are new hardcover books from HarperCollins that each feature twelve stories that each take about five minutes to read. But trying to find out more about these volumes is like pulling teeth! 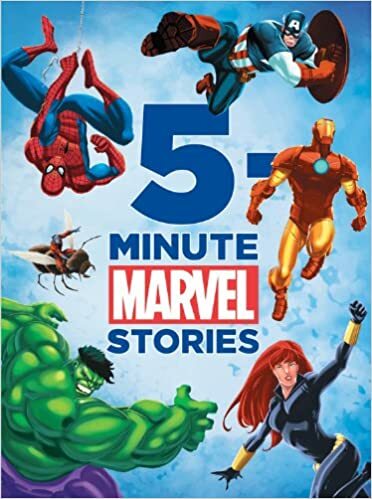 At first I thought these hardcovers might be featuring reprints of stories that appeared originally in comic books but then I read in their descriptions that the books have full-page illustrations and spot illustrations throughout. This means that they're more like Big Little Books than comic books. Still I'd like to know what writers and artists were involved, but that information is not offered. Anonymity is overrated and I know that if my writing or artwork were featured in a book I would not want it being kept a secret.